As Demos furthers its mission to introduce, mainstream and move bold progressive ideas from trailblazing concepts to everyday reality for Americans, the retaining of Mr. Gayle is another step in the reengagement of its Fellows Program. In July, Demos named Heather C. McGhee, the past President of Demos, as its Senior Distinguished Fellow. Ms. McGhee, one of the nation's preeminent thought leaders on a range of issues from politics to social justice and racial equity, will use the platform to inform public discourse and continue providing brilliant commentary on progressive causes. "Our Fellows Program is providing platforms that allow the best and brightest advocates to deliver powerful, progressive and racial healing messaging and content, which will help counter the divisive themes permeating throughout our society," said Tori O'Neal-McElrath, Vice President of External Affairs for Demos. Further, Ms. O'Neal-McElrath said that the Emerging Voices Fellowship will provide Mr. Gayle a platform to research, investigate and publish on issues related to voting rights. His work will be published in a variety of mainstream, ethnic and progressive publications, and Mr. Gayle will also utilize social media, online and the airwaves to raise awareness of the poor and people of color whose voting rights are being threatened. 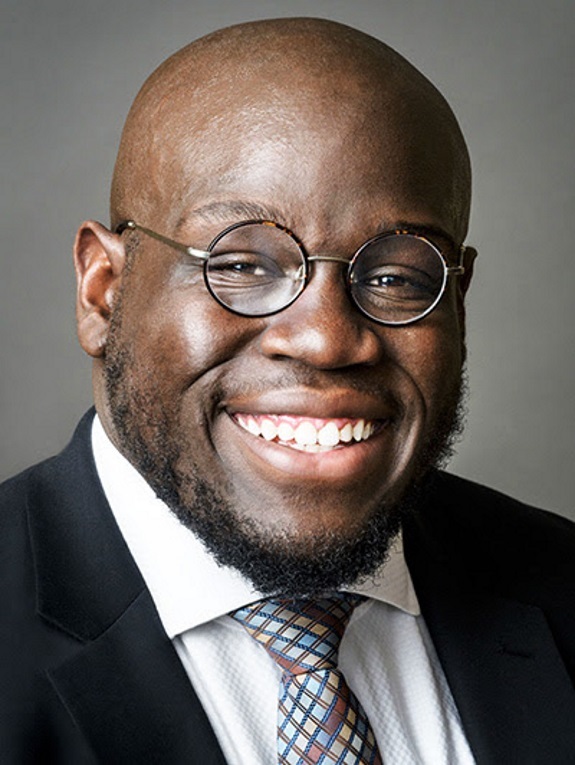 A 2011 graduate of the University of Oklahoma, Mr. Gayle earned a Master of Science in Latin American Studies at the University of Oxford, St. Antony's College in 2012, and a Master in Business Administration and Public Policy from Harvard University in 2017. Mr. Gayle, 28, is currently studying at the Harvard Kennedy School of Government, and is also a fellow for The Guardian newspaper. His recent articles in The Guardian covered several key issues: explored whether Blacks in Alabama would turn out for the midterm elections as they did to help elect Sen. Doug Jones; disclosed that Blacks sued for inclusion in the Creek Nation after a 1866 treaty was broken in 1979 when Blacks were booted from the Nation; disclosed that prison inmates are challenging the companies that are making profits off their work, while they are paid pennies; documented how African Americans are being hurt by the attacks on labor unions; and detailed how many blacks are being left behind despite an economy that has an unemployment rate of 3.7 percent. Mr. Gayle said that he hopes his focus on voting rights will help more Americans recognize that the right to vote is being threatened in some locations. "Voting restrictions probably don't register for many people who don't live in environments where there is this constant threat that you may not have your vote counted in the same way or that to some extent you might not be able to vote," Mr. Gayle said. "And, from a journalistic perspective, there is a responsibility to hold institutions and public officials accountable. It is a responsibility that I think might be one of the most fundamental aspects of being a journalist."